In 2000 local resident David Crane was writing a book entitled Walks Around the History of Rural Llangollen. Visiting Y Capel in Castle Street he was struck by the fact that, for the past 5 years, the ECTARC exhibition space had held an unchanging display about Spain. 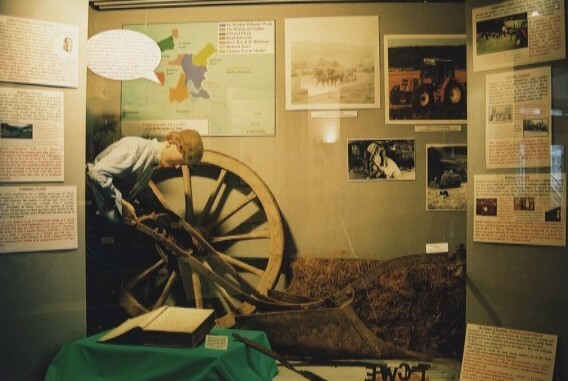 David approached ECTARC and they agreed that, if he could organise an exhibition about the history of Llangollen and the local area, then it could be put up in the display area. David enlisted the help of friends and colleagues, obtained a small amount of funding from the Welsh Church Acts fund and put together a series of displays to go in the eight fixed display cabinets. Thus the Llangollen History and Culture Exhibition was born. 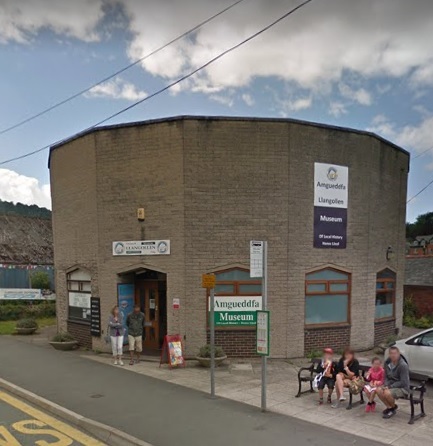 Two years later Denbighshire County Council announced that it was planning to relocate the Library and Tourist Information into Y Capel and so the exhibition area would no longer be available. Discussions with the Dr Who Exhibition Centre and DAPOL ensued and, in 2002, Llangollen Museum opened in the former cafe at the Dr Who Exhibition site, as a venue that would attract visitors to Llangollen and as a resource for local people. The aim was to provide displays giving information on the history of Llangollen and the surrounding area in an interesting way and to establish a research archive that would be of use to people wishing to find out more about the heritage of this fascinating area. In December 2003 the Dr Who Exhibition closed and Llangollen Museum had to look for a new home. In June 2003 Llangollen Library had moved from Parade Street to its new home in Y Capel on Castle Street. In April 2004 Llangollen Museum relocated to its present position in the old library building in the centre of the town, where it operates as a totally volunteer run charity. Accredited in 2012, the Museum houses an impressive collection of over 1,500 artefacts and more than 7,000 photographs and documents, mostly donated by the local community, telling the history of Llangollen and the surrounding area. In addition to this we have over 10,000 files containing more than five million words of transcribed data and historical information about people and places important in the history of Llangollen and the surrounding area.